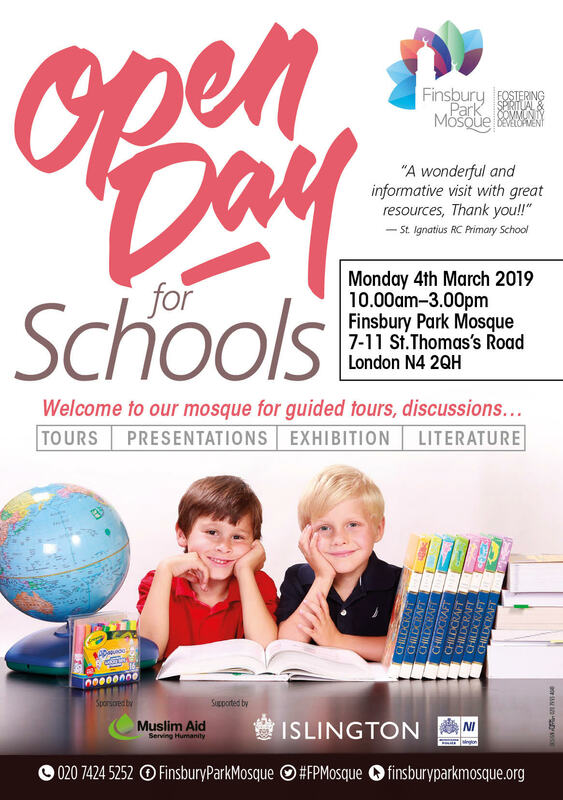 We are glad to announce that our tenth annual neighbourhood open day will be taking place on Sunday 3rd March 2019 from 12 -6pm where we expect over 500 people from our local community to attend, and we would like to invite you to join us in this special day. 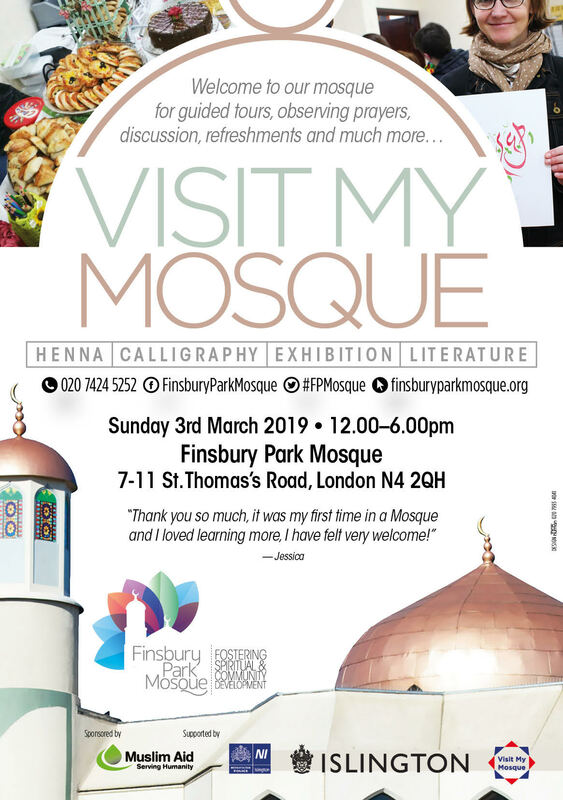 Our Mosque is taking part in the MCB national #VisitMyMosque initiative since it started, and in the spirit of friendship and conversation we hope to give members of the local community an engaging insight into the life of the Mosque and to promote greater understanding of the religion of Islam and to build bridges between faiths and communities. Last year, we had a fantastic event when groups, families and individuals visited our centre and enjoyed our exhibition, films and tour in the Mosque as well as henna and graffiti (name written in Arabic style) and we expect this to happen again this year with more attractive functions to take place, also our volunteers will be distributing on the day a goodies bag including roses with a massage about the importance of environment and neighbourhood relationship. Our supporters from Islington Council and Islington Police will be having a stall during the event.